The ‘Scarab’ rover was the first robotic rover designed to explore another planet. The rover is controlled remotely from Mission Control while it conducts scientific surveys and Duna surface exploration. With it’s RTG power supply, the ‘Scarab’ is capable of continuous operation day or night, even in dust storms. 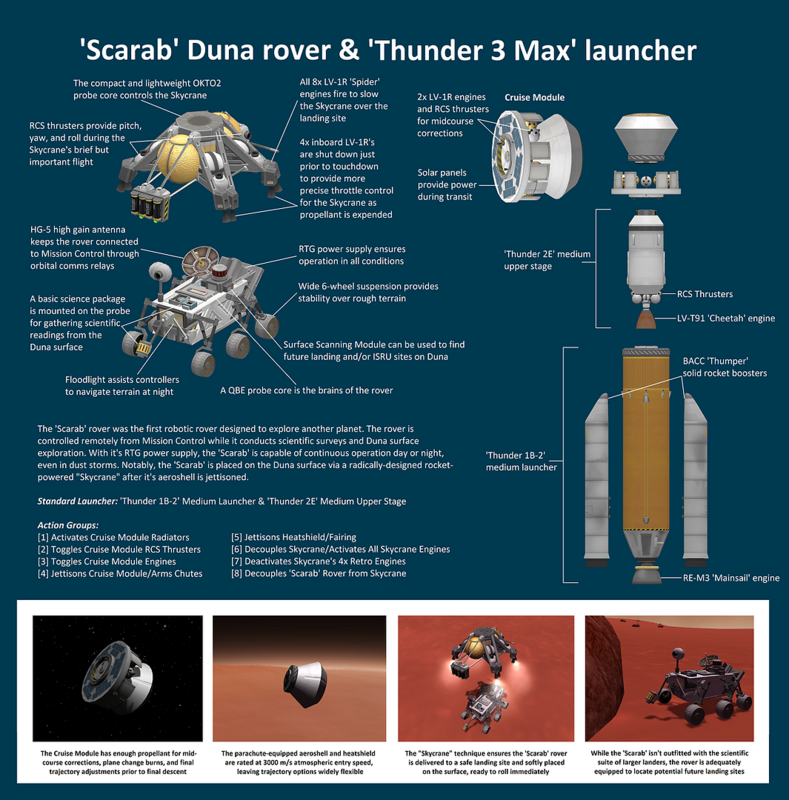 Notably, the ‘Scarab’ is placed on the Duna surface via a radcally-designed rocket-powered Skycrane after it’s aeroshell is jettisoned.